Paper and Jewellery! What else do you need? 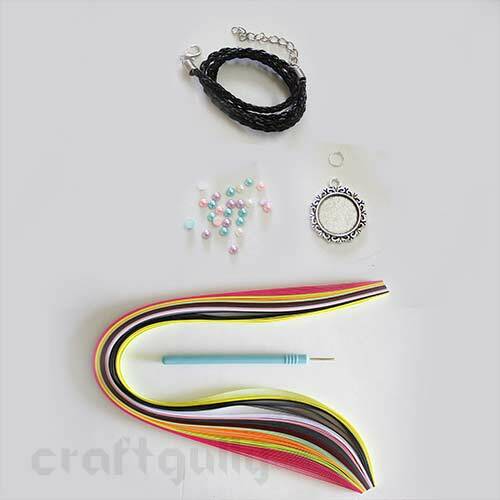 For those who are yet to fall in love with this craft, here is the best way to start and make your own jewellery as your first project too! 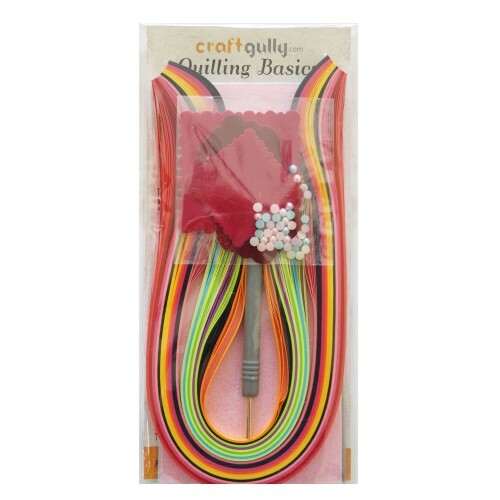 The CraftGully Quilling Jewellery Kit includes: 1 quilling slotted tool 1 set of 3mm assorted quilling strips 2 pairs of golden metal earring hooks 2 pairs of silvery metal earring hooks 1 brooch pin (silver finish) 2 pairs of silvery metal jumprings 2 pairs of golden metal jumprings 1 braided necklace chord 1 pendant mounting with jumpring 25 mini pearls for embellishments along with easy-to-follow instructions. So what are you waiting for? 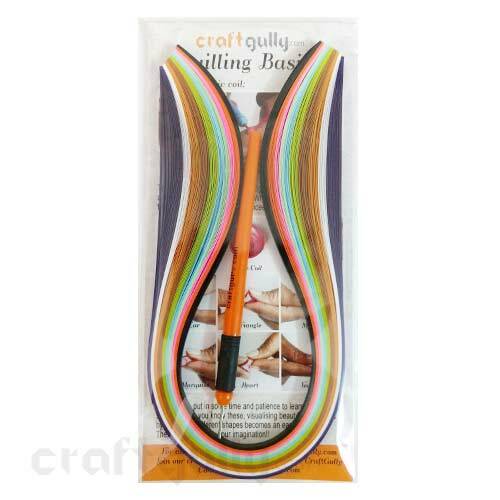 The world of quilling jewellery awaits... The colors of the tools and paper that you receive may be different from what you see in the image. ..